When you cannot use your body smoothly, how would you contact the world? If you lost all physical capability or mobility, how would you contact the world? When you cannot hear or see the world, how do you feel about it? If you lost the capability to see or hear, how would you feel about this? The fundamental spirit of the CRPD(Convention on the Rights of Persons with Disabilities) is to promote, (guarantee is similar to ensure so I used another word) protect and ensure all people with disabilities who have equal access to all human rights and fundamental freedoms. Furthermore, this convention actively advocates for the respect and dignity of people with disabilities. We feel that the world of people living with disabilities seems so distant to us, but in actuality, it is right in front of us. Eden Social Welfare Foundation uses provides different activities which the public can experience and participate in to understand more about obstacles people living with disabilities face. 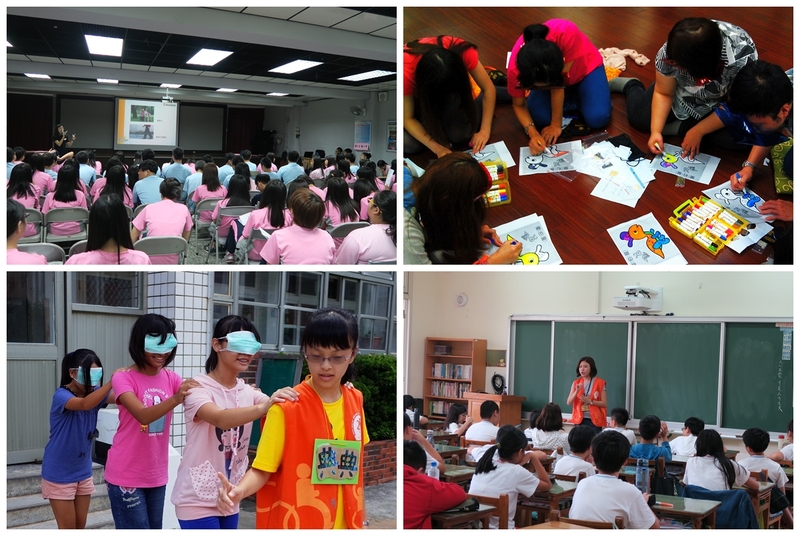 Eden hopes that by providing these educational, thought-provoking activities, it will encourage the public to have a different perspective about people living with disabilities. These activities promote and encourage the public to embrace diversity, be more open-minded and nondiscriminatory. Eden believes that “We (people with disabilities) are not different.” Friends with disabilities can also have the rights of independent life and movement freedom. Also, they can enter the workplace and pursue their dreams. The goal of an obstacle free life is still far from reality. We must be open minded being more aware of those living with disabilities only then will the world change for the better.